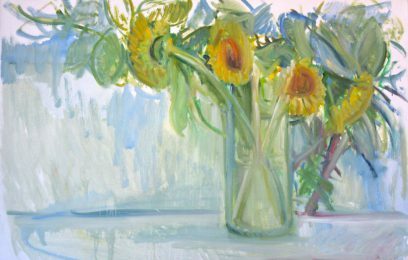 sunflowers painted summer 2016, a quick sketch in oils. Below, Ruta’s last unfinished painting. For his daughters 15th wedding anniversary mid September, her husband brought her a big bunch of roses. 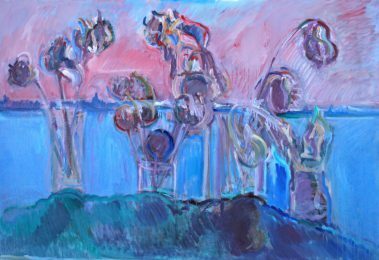 The next day, knowing his father in laws fondness for wilting flowers, he deposited the bouquet at the painter’s door. It’s still standing in the studio. No one has the heart to discard it.